Don't want to wait? View our Online Catalog here. 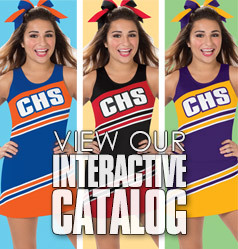 Coaches, Sponsors, Advisors, Directors, School Administrators, please complete the form below to request your catalog or you may also e-mail us at sales@cheerleading.com to request your catalog. Please be sure to include your school colors and complete mailing address in your fax. All Catalog requests are free in the United States, APO, FPO, DPO, Puerto Rico, Guam, US Virgin Islands, and Canada. If we are shipping a catalog to any country other than United States or Canada there is a fee of $10.00 US Currency to cover our costs for shipping. 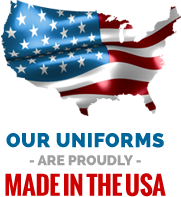 Our automated catalog ordering system is optimized for the United States and Canada. We are able to send a catalog to almost any location in the world. Please email sales@cheerleading.com to confirm your address and contact information. 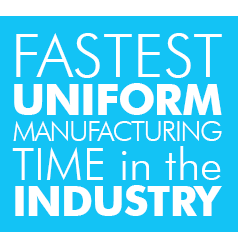 Would you like to learn more about our specialty fabrics?